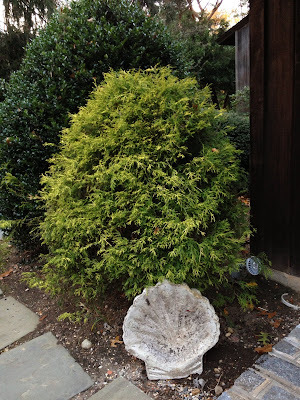 Bought at an estate sale of a wonderful old house in our old neighborhood and lovingly placed*, thanks to The Guy, in a sandy, stony part of the yard. Just the perfect addition to the back driveway. *Luckily the ideal spot for the shell was close to the garage, this garden ornament must weigh 100lb.